Well, I’ve just about had my fill of Cecil the lion stories, but I still feel obligated to write about my take on this tale. Like most stories these days, this one too will soon be forgotten because, as someone once said about Americans,…we have short memories. First, I want to say that I think what the “American Dentist” did was despicable. I have been breeding dogs for twenty years. I have been involved with boxer rescue and placed numerous homeless dogs. I never forgave Michael Vick…and never will. Killing or hurting defenseless animals is wrong…aggression is wrong. I don’t even like aggressive drivers. So what bothers me about the Cecil story? In 2005 our “American Dentist” lost a sexual harassment case for $127,500 that also carried a penalty of him having to undergo ethics training. It seems that his ex-employee Tammy Brevik, 43, accused the married clinician of subjecting her to unwanted ‘verbal comments and physical conduct’ involving her ‘breasts, buttocks, and genitalia’ in the 2005 complaint. But crowds didn’t gather around his office back then…trying to put him out of business. No! His patients allowed him to go back to work, I guess, because everyone deserves a second chance…just like after Vick spent time in jail we watched him play football, for which he was handsomely paid. We forgive and forget. Yes…as unbelievable as it sounds we will forget about Tom Brady and the deflated balls…and Ray Rice…and Donald Trump’s aggression toward John McCain. Tune in Thursday for the Republican debates if you want to see aggressive behavior. Maybe it will take Cecil—the so-called domesticated lion to teach America a lesson...but I don’t think so. I mean placing Cecil’s image on the Empire State Building —stop it! 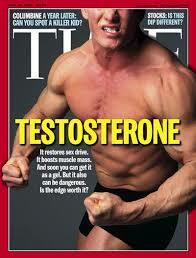 The human brain is driven by testosterone. We depend on our executive brain to control our behavior…and sorry to say, for most people it just doesn’t work. Aggressive behavior is a double-edged sword. We are taught in business to create BHAGs…Big Hairy Audacious Goals. Our “American Dentist” did just that. Big game hunting has been around for thousands of years…at one time it was a matter of survival—and that made it okay. People say the same thing about Wall Street, Politics and the NFL. And boy, do the crowds love a hanging. Is testosterone at work when the crowds come out to the gallows to see justice? Is it okay to put our “American Dentist” out of business? Is that justice? And why did the public give him a pass on the sexual harassment? If he were a pedodontist that wouldn’t have happened…I would hope. But things will be okay now…because we have Cecil. I am sure that Disney, the people who brought us the sweet little mouse with the squeaky voice, will adopt Cecil as the symbol of compassion and empathy. The problem my friends is aggression and human nature…my advice…the same as the Dalai Lamas’s: Practice compassion at every level and the world will be a better place. Many dentists have experienced a long time patient leaving their practice for no other reason than the patient received new insurance…and it hurts. Through the years I have had this situation occur and the best advice I get is not to take it personally. But that never worked for me…for me, it’s always personal. Dentistry, not unlike any of the other health care service professions, is a very social field…especially when we create our practices around relationships. Maybe I am naive…I don’t think so…but I believe that my work is more than just about business, money and success. Oh sure those things count, but I was taught there are other ways to judge a successful career…and people matter. Most of us were raised during a time of massive abundance. Not only us, but our parents believed that all success was material success. This, after all was what the “Me Generation” was all about. I was raised on Covey’s habits. I take them seriously, after all who doesn’t want to be highly effective? But at what expense? I am getting older now, and I studied dentistry from dentists who are long gone. They taught dentistry using terms like excellence as a virtue for its own sake. Virtue? It means moral excellence and righteousness, and for many it was the path to a good life, but not in a time when business trumps everything. Say the word morality these days and people look at you funny, like you’re a religious nut rather than someone who can hold their head up high…with dignity. I wondered how we got here? Since I learned dentistry from people who lived in the forties and fifties…before the Age of Abundance, I wondered how we become products of the times we lived. 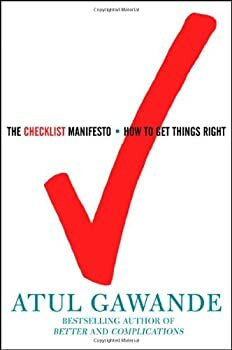 Personally, I was deeply effected by Covey, yet these days I see more virtue the teachers who came from a time when their success wasn’t taken for granted…they worked for it. They didn’t believe that if their kid wanted to be David Beckham that it was possible by just kicking the ball a lot, and they could be anything they want to be. We are products of our culture. Really, do I need to know any more about Kim Kardashian, Bruce Jenner and Justin Bieber? In the world of dentistry, do I need to be exposed to anymore Facebook pretenders? Dentistry is an honored and noble profession that serves people. At least that is what is was when I entered it. It’s about people, it’s about service and yes maybe a little business too. In 1972, The Godfather was released. Take a look now at one of it’s best scenes with the great actor Al Pacino…revealing a line that we all hear too much of these days. This is how we get acculturated—but it’s always personal. Dental Dilemma- Fix or Manage? In my life, like most people, I have faced some significant health decisions. Everyday people are asked to make choices on issues that are not clear cut. Supposedly, as we collect more data our choices will be easier. Maybe, one day we will reach a point of complete evidence based medicine (and dentistry), but we are nowhere near that point now. Until that day comes we must depend on our health care providers for their care, skill and judgement. I first heard that expression at The Pankey Institute some twenty five years ago, and it is more relevant today than ever. It’s one of the reasons why I am still a voice for fee-for-service dentistry and I write this blog on the values of trust, appreciation and ownership. It’s all about that sacred doctor-patient relationship…not data. Recently I saw a long time patient of record for a recare appointment. Carol has been coming in regularly for over ten years. She has never missed an appointment. She was referred to me by a periodontist with whom she rotates appointments. Her hygiene is immaculate. Ten years ago she went through pocket elimination surgery and then complete mouth restoration. She always does well…maybe one crown fractured through the years. At this recent appointment there was a change. The margins of all of her crowns were lifted and exposed by a minimum of three millimeters. I asked her what happened. She reported to me that the periodontist felt it was necessary to redo the surgery… I asked if she had any symptoms, and she said not before the surgery, but now her teeth were extremely sensitive to cold. Hmm, so before we were managing a few pockets and now we were managing symptoms. Now, you may be saying to yourself, “Tell me something I don’t know,” but this little story tells us a lot about health care in America today, from the cardio cath labs of your local hospital to your neighborhood dental office. It begs the question…when we see a potential problem do we fix it or do we manage it? And that’s where judgement comes in to play. When health care providers are asked why they do more procedures and do more tests, they refer, in their defense, to practicing by the letter of the law. When insurance companies are asked about doctors and dentists doing too many procedures they tell us the doctors do it because procedures and tests are incentivized. Sounds pretty adversarial to me. I am not taking a specific stand here, and maybe one day evidence based medicine and dentistry will solve this problem, but the data that exists today doesn’t seem that definitive and there hasn’t been that many randomized trial on many procedures that allow for the differences in patient’s lifestyles, like poor Carol who had excellent hygiene and now has sensitive teeth. And some decisions really are clear cut. Caries, anyone? Listen, it happened to George W. Bush too. 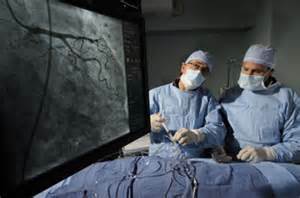 He had a stent placed rather than managing his coronary artery disease as the data suggested. I was sensitive to that story because I was catheterized early this year….happily, I’m managing. How about back problems? Prostate cancer? You see fixing things can be risky at times…even in the dental office. I know many dentists out there will cringe when I say this but sometimes it’s better to watch and manage the case. But that depends on judgement. I have a patient now who was told over twenty years ago to have her teeth out. She chose to manage the condition. She came in for scalings every two months. The window is closing for her but she doesn’t regret the choice she made. Most people believe that medical or dental intervention that is directed to fix a problem is more beneficial than one that simply manages a problem. Especially those who really take care of themselves. Judgement comes into play when dealing with chronic disease…not injury or acute issues. Sometimes randomized trials are not available for every circumstance. The key is to feel good and live longer, for that you need a health care provider that understands the sacred nature of the doctor-patient relationship and exercises good judgement through experience. Data has its limits and our system is too adversarial. And the Academy Award for Best Actor in a motion picture goes to…Eddie Redmayne…for his role of Stephen Hawking in The Theory of Everything. What a moment. The cameras switched over to a very disappointed Michael Keaton who was really counting on giving his acceptance speech. That didn’t happen. 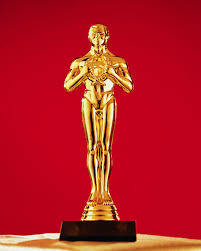 The Academy gave it to the relative novice because of the masterful job he did in portraying Stephen Hawking the Nobel Prize winning physicist and a victim of ALS. Redmayne, in the tradition of many other great actors like Daniel Day-Lewis in My Left Foot, and Dustin Hoffman in Tootsie, won the award because of the difficulty of the role. It required putting himself in the place of an another and actually becoming that person. For Lewis it was the palsied Christy Brown, for Hoffman it was the role of a woman, and for Redmayne it was Hawking, who has been confined to a wheelchair and cannot speak since 1985. Amazing performances all. The one quality that makes those roles possible: empathy. The art of stepping imaginatively into the shoes of another person, understanding their feelings and perspectives, and using that understanding to guide your actions. As dentists we must master the “art” of empathy in order to be truly successful. Empathy and the habits that are necessary to develop, will be the trait that will separate dentists in the future. I take nothing away from Michael Keaton and as I will explain I really liked his movie Birdman better, but as far as acting performances go Redmayne became Stephen Hawking. You see, Birdman, Keaton’s award winning movie discussed just that sentiment. It was subtitled, The Unexpected Virtue of Ignorance. What does that mean? It can be summed up in a scene where Keaton is arguing with a reviewer about how good an actor he is (in the movie…not in real life…seems to be his haunting theme). She tells him he’s a celebrity, not an actor. So what is the difference? Today it’s easy to become a celebrity…yes, even in a field like dentistry. I see so many dentists who are more interested in Facebook and Twitter (a theme also revealed in Birdman—when he walked down Broadway in his whitey tighties, I guess that was the unexpected virtue of ignorance. ), than in truly treating each and every patient with empathy. They want to become celebrities—smile artists. Empathy is what makes us human. It keeps everything real. The question is, can it be developed or is it just something we have or not. I guess, if actors can develop it, we can create the habit of empathy. When I studied the Pankey philosophy, I noted that L.D. Pankey used the word virtue a lot. Aristotle used that word. I never quite grasped what it meant to the Greeks, but the writers of Birdman also used it in their subtitle. Become Spock-like. Get into a mind-meld mindset. Imagine yourself knowing what the other is thinking. Follow the Platinum Rule—I used to think the Golden Rule was the right thing but the Platinum Rule states that you should treat people not as you would want to be treated but as they want to be treated. As if you were the other. Use creative storytelling to imagine yourself in the life of the other. Great empathists like Gandhi, and Nelson Mandela were masters of this. Immerse yourself in the actual dental experience, Feel that fear, feel the financial pressure. Many dentists are masters of the “should,” without ever having experienced what it is to have extensive dentistry. Practice the art of conversation. Learn the language of empathy and take the time to understand patients. Be curious about the lives of patients…as Pankey used to say, their circumstances, objectives and temperament. Share your story with people…get deep. Go further than small talk about the weather and sports. As author Bren’e Brown advises, become vulnerable. These are just a few of the things that we can do to practice empathy. Readers of my book, Art of Examination, know that the dentists can build these into their daily practice…so in the end they will not only play the role of a real human dentist but they can actually become one. So Michael Keaton, why didn’t you win the Best Actor Oscar? On a recent trip to central Pennsylvania, in order to prevent myself from dozing, I read road signs. Road signs can really get your attention. They can be just as creative as some of the better television ads I see these days. They can be real conversation starters, like those digital WANTED signs that warn us to be careful of criminals on the loose. And of course those redundant GEICO billboards. Yes, billboards can be a sign of the times. This billboard implied the same, but it instructed the viewer to call “LarrytheLawyer.com.” (Name changed). Back in the eighties it became legal for professionals to advertise. For years professional organizations fought advertising. Many dentists are aware of “Painless Parker,” a flamboyant street dentist described as “a menace to the dignity of the profession” by the American Dental Association. “Menace to the dignity of the profession”…in the thirties. I wonder what the forefathers would say about our dignity now? Dignity. What does the word mean? The dictionary definition tells us it is a sense of pride in oneself; self respect, an honorable rank or position. Well, I guess it is up to each of us to protect our own dignity. I certainly wouldn’t do what Larry did and display it all over my hometown for the sake of getting people’s attention. But who protects the dignity of the profession? The collective dignity of the profession. Does anyone have that role? I know in sports like football and baseball, players must answer to their undignified behavioral issues (sometimes anyway). Someone is in charge of protecting the public image. Because it’s important. And that’s the big problem with today’s professions. 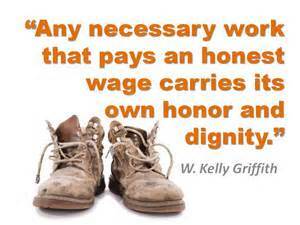 Today the professions have narrowed and distorted the idea of dignity. I wonder if advertising had something to do with it? Maybe there was something to letting the professions police themselves instead ofd giving way to the free market. After all health care ethics is a bit more complex than selling cars or insurance. Maybe it doesn’t stop with the health care professions. Just last week I was watching Barak Obama interviewing Glozell Green at the White House. Check her out…she has this unbelievable following on YouTube. I guess he did this for the same reasons Larry the Lawyer takes out billboards…to get the public’s attention through shock value. Maybe it’s time we all took a deep breath and put some dignity back into our jobs…it wouldn’t hurt. There I was in the belly of the beast. Well, not exactly, but that’s how I felt when they wheeled me into the cardiac catheterization lab at my local hospital. Before you start worrying, I’m okay. A little blip on my stress test culminated in this recent episode. Before I get too far along, let me just throw out this little piece of advice: if you are over the age of sixty, it wouldn’t be a bad idea to get a stress test. I’m okay, but this may be the best preventive medicine I know of…and as a dentist, I am all about prevention and prediction. Back to the lab…the first person I meet is Steve. He has an identification badge on his smock. He makes small talk and I accommodate. “I’m a dentist,” I say. Okay—at this point I’m thinking I’ve heard this conversation before…too many times. So I tell him where my office is located and he tells me it’s too far…he goes to a guy in another town. Just for the record that town is further away than my office…but this is small talk remember, and to keep it up I ask him what that dentist’s name is. At this point I’m wondering if he even has a dentist or am I just involved in some conversational dream, but then I think about my own practice and the state of health care in America today. Are we all involved in some conversational dream…or can we not establish relationships anymore? I think about the TV show Cheers, the bar where everyone knows your name. Remember Sam Malone, Rebecca, Diane, Carla, Norm and Cliff, Dr. Frasier Crane and of course, Woody. I wonder if Steve remembers the name of the guy at Starbucks who serves him his coffee everyday. Times certainly have changed. I still remember Dr. Weltman and Dr. Kaplan my doctor and dentist when I was growing up in the Bronx. One thing I do remember is how my parents trusted them, they were “go to guys” for everything. 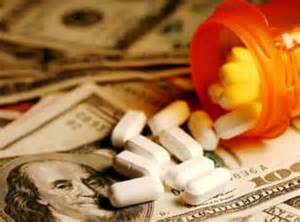 Today healthcare has become a commodity. Doctors look at computer screens rather than into the eyes of patients. Patients shop online for Groupons and deals for elective healthcare. Now if you’re a dentist reading this, I am sure you built your practice on some degree of friendliness, after all dentistry is an intimate, personal service. I don’t believe healthcare workers created this level of commoditization…it’s just the times we live in and I’m sure how we got here is quite complex. I also believe that those old “mom and pop” enterprises of years ago were on to something. They really knew their customers. Intimately. Those relationships were the basis of the many rewards they received from their practices. From the patient’s perspective…everyone ends up on the metaphorical table eventually. It would be nice if you knew the name of the person on the other side of the mask. Technical errors. These would include things like the drill slipping…these things do happen. Judgement errors. Includes errors of waiting too long to treat or using questionable techniques. Normative errors – or failing to get and use all of the information that is available about a patient. This one calls into question the personal fitness of the doctor. This is why dental schools taught us why cheating was so bad. These are the ethical errors. So the lesson is, if you want to minimize the risk of catastrophe, you focus on the process much more than the outcome. But there’s more. 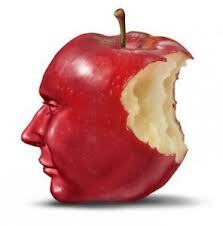 The examination process even beyond dentistry, helps us understand ourselves better. It can be a self-development tool…it was for me. Remember what Socrates said, “The unexamined life is not worth living.” And he wasn’t talking about teeth. RUSH- The Movie–Who’s the A**hole? I just saw Ron Howard’s new movie, Rush. It’s the story of one year of Formula One Grand Prix racing. That year, 1976 was the year that Great Britain’s James Hunt beat out Austrian Niki Lauda for the championship. The story is amazing in its own right, but I always ask myself what makes a story important. It takes more than an interesting story for a Hollywood producer like Howard to back it. In this case I was confused for a while. I didn’t know who the main character was, Lauda or Hunt. James Hunt was the more likeable guy, the one I was rooting for throughout the movie. Niki Lauda was portrayed as an a**hole. As a matter of fact that word was used almost as many times as Jamie Foxx used the N word in Django. But I digress. It isn’t usual for the audience to root for a jerk. Not being an auto racing enthusiast I wasn’t aware of what happened in 1976, but I knew the name Niki Lauda and had never heard of James Hunt…the eventual World Champion Driver in 1976. Why was that? Because Hunt only raced for a total of 6 years (1973-1979), and only raced for 3 years after winning the controversial championship, but Lauda left a legacy. And that is why this story is important in a time that our culture celebrates “rock stars.” Characters with inflated egos that care less about their work than they do about how the public views them. Niki Lauda was the real deal and James Hunt was just another rock star. Lauda knew everything about auto racing…what we might call a real master of his art. He was confident in knowing that his need for being the best was more important than winning that year’s championship and just being recognized as the best. There is a fine line line in that…and I won’t give away the movie, but Lauda sacrificed winning that prize for something much greater. 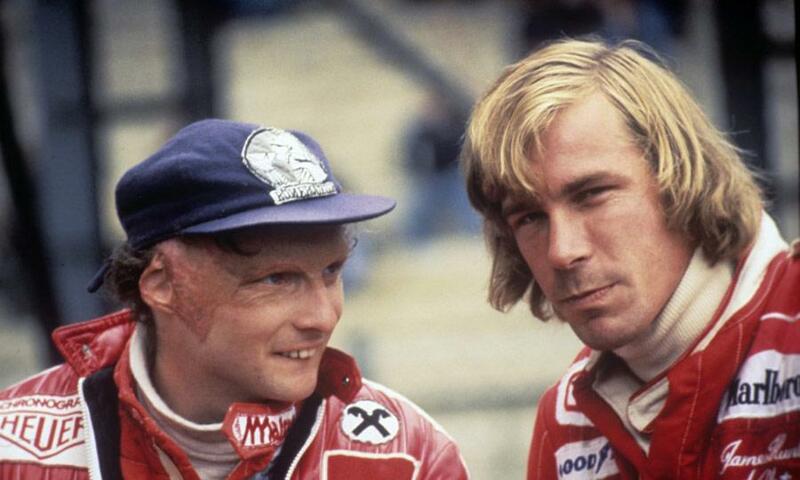 And therein lies the reason for Ron Howard seeing Niki Lauda as the hero…and Hunt as the agonist. Lauda changed. His confidence rather than his inflated ego enabled him to take a stand on behalf of his work and his industry and what he believed was right. Rock stars don’t do that. Rock stars don’t leave legacies. The contrast of the two characters reminds me of Stephen Covey’s description of the two schools of thought which he calls the Personality Ethic vs. the Character Ethic. It also reminds me of another cultural icon: Steve Jobs. When I ask people what they think of Jobs I am often surprised by the number of people who offhandedly just say, “A**hole,” without really knowing that much about the man. The movie made me think of how we lionize people who are socially competent and “likeable,” without really knowing who they are. The confident ones are the ones who are willing to stand up for great work rather than just protect their image and their reputation. James Hunt died at age 46. Lauda is still alive. The movie is worth seeing—more than once, like most of Ron Howard’s films. When I think of today’s dental industry I see many parallels — I am interested in your opinion about rock stars and confident contributors. Did you ever wonder how a long-time loyal patient ends up opting in for an insurance plan that restricts him to going to a dentist on a list? Shocking, isn’t it? Well it happened to me recently. A patient for the past thirty years called and asked to have his records sent to another dentist because I wasn’t on the list. He was so sorry, he said, but his HR person explained how that was what most people in his company were doing. For years I suspected that there were forces at work that were beyond our control that led to patients to leave practices where they were completely happy. I always believed it was the economy. I am happy to report that the patient I mentioned above is back in our practice…after a nice hand-holding conversation. But…what I learned was that there are more forces involved than just the economic situation. There are cognitive biases and principles of influence at work…some of them just human tendencies and others may border on unethical uses of influence. Influence is a powerful motivating force that can be used both positively and negatively...a force for good or evil. Just think, Charles Manson’s favorite book is How to Win Friends and Influence People. The free market has always been a jungle. 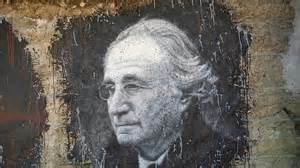 Caveat emptor is the only defense in a world where new rules reign everyday. For some reason I believe “health care” should fall outside of the boundaries of free market capitalism. But I digress. There are many interests in the health marketplace that have intentions other than the specific care and benefits of the patients. There are two cognitive biases that some special interest groups may be applying that further their businesses and have tilted the playing field. One is the social mirror, popularized by Robert Cialdini in his book Influence, and the other is the default bias as described by Daniel Kahneman in his book Thinking, Fast and Slow. The social mirror is obvious — people look to their close social group for making decisions. On a positive note this is what makes referrals and positive word of mouth marketing work. Did you ever notice how many white cars there are in the sunshine state…is that the default bias at work? This is when people cling to the standard options. I know white works well in the sun…but it is the default. Like your computer settings…most people choose the default settings. It’s familiar and just easier. In the book, Nudge by Richard Thaler and Cass Sunstein, the authors illustrate how a government can direct its citizens without unconstitutionally restricting their freedom of choice. They do this by offering a few options – always including a default choice for indecisive people. They gave an actual example of how New Jersey and Pennsylvania presented two car insurance policies to their inhabitants. The first policy was cheaper but waived certain right in case of an accident. New Jersey presented this as the standard default option…and guess what…that’s what most people chose. In Pennsy they reversed it with the more expensive item as the default…and, you guessed it…that is the one they chose. Cars, people, different states…just the way it’s presented. You tell me…is that freedom of choice? Is that how governments and insurance companies train us to give up our freedom of choice? I don’t know if we can change this…but at least we should be more aware of the cognitive biases that exist and are being used to bend minds.